A very accessible podcast for learning Italian, with background discussion and insights into Italian culture from the team of presenters. Brilliant and much useful podcast! And so our series, and our soap opera, reach their conclusion and we're delighted to bring you episode 40 of Coffee Break Italian Season 2. In this episode you'll enjoy the finale of La Mia Estate and, as ever, Mark and Francesca are on hand to help you understand everything. We hope you've enjoyed this second season of Coffee Break Italian! This season of Coffee Break Italian features a total of 40 episodes. If you'd like to benefit from lesson notes, bonus audio recordings and video versions of the lessons featuring 'synchronised video flashcards' to help you understand how the words and phrases are written, you can access the premium version of Coffee Break Italian on the Coffee Break Academy. Don't forget to follow Coffee Break Italian on Facebook where we post language activities, cultural points and review materials to help you practise your Italian. Remember - a few minutes a day can help you build your confidence in the language. Access the Coffee Break Italian Facebook page here. If you'd like to find out what goes on behind the scenes here at Coffee Break Languages, follow @coffeebreaklanguages on Instagram, and check out our videos for language learners on our YouTube channel. In the previous instalment of La Mia Estate which featured in episode 38 of Coffee Break Italian, we left our characters at a dramatic point. In episode 39, it's time to see if the night of Ferragosto will help to thaw relations and if the stars finally align for Riccardo and Maria - and for Giorgio and Mia! As usual Francesca and Mark are on hand to discuss the language contained in the episode. CBI 2.38 | Adesso esprimi un desiderio! CBI 2.37 | Chissà quali sorprese ci regaleranno le stelle! In the latest lesson of Coffee Break Italian, it's the day of preparation for the famous Notte di San Lorenzo, and it's all hands on deck at the campsite. This episode provides further practice of direct object pronouns, and we'll also learn the verb servire which is used in a similar way to piacere. As usual, Francesca and Mark are on hand to explain everything. CBI 2.36 | La Mia Estate ep6 - Incredibile, sembrano due piccioncini! In the latest lesson of Coffee Break Italian we're listening to episode 6 of our soap opera, La Mia Estate. Riccardo and Maria seem to be getting on well, much to the surprise of Mia, Anna and Giorgio, and Riccardo has some exciting news regarding his search for a house. The episode provides an opportunity to look further into imperatives and there is more practice of the pronouns ci and ne, and how they affect different verbs. CBI 2.35 | La Mia Estate ep5 - Perché non ci diamo del tu? It's time for a new episode of Coffee Break Italian, and the latest episode of our soap opera, La Mia Estate. In this instalment Riccardo and Maria are on their way to Vipiteno, but they end up missing the train. Is this a recipe for disaster, or is it the perfect opportunity for them to get to know each other a little better? As ever, the episode is rich in complex grammar and useful vocabulary, and Mark and Francesca discuss everything to help you build your language skills. CBI 2.34 | La Mia Estate ep4 - Dobbiamo escogitare un piano! In this latest episode of Coffee Break Italian, join Francesca and Mark for the fourth instalment of our Italian soap opera, La Mia Estate. Preparations are underway for a summer concert at the campsite and Mia, Anna and Giorgio are busy putting the final arrangements in place. Even Riccardo and Maria seem to be getting on well, but things don't go quite as smoothly at the concert. In additional to lots of useful Italian expressions and vocabulary, you'll also learn a little about the subjunctive in this lesson. In lesson 33 of Coffee Break Italian Season 2 you'll hear the latest instalment of our Italian soap opera, La Mia Estate. Mia is now fully involved at the campsite, helping Anna and Giorgio, and in this episode Mia's father, Riccardo, gets to know Anna's mother, Maria, a little more. From a grammatical point of view, this episode introduces some examples of various types of pronoun. As usual, Mark and Francesca are on hand to explain everything. CBI 2.32 | La Mia Estate ep2 - Sognare non costa niente! In lesson 32 of Coffee Break Italian Season 2 you'll listen to the second instalment in our Italian soap opera, La Mia Estate. Mia and her father are now on their way to Italy and in this episode they arrive in Verona where they're met by Mia's friend Anna and her mother, before heading to the campsite in Trento. The episode includes some examples of new grammar points, and Francesca and Mark are there to explain everything. CBI 2.31 | La Mia Estate ep1 - Facciamo le Valigie! We're back with another lesson of Coffee Break Italian, and in lesson 31 we're presenting the first episode of our Italian soap opera, La Mia Estate. You'll meet three of our characters: Mia, her friend Anna, and her overprotective father Riccardo. In each of the ten episodes of La Mia Estate, you'll be hearing Italian in context and you'll be able to build your knowledge and confidence, and Francesca and Mark are on hand to help you understand everything. This episode of Coffee Break Italian is a review episode, covering many of the topics discussed in lessons 1-29. With Francesca, Isla and Mark you'll review the pronouns ci and ne, how to form the perfect, how to choose between the perfect and imperfect, and much more. It's time to take a detailed look at a topic which, on the surface, can seem straightforward, but when you get into it in more detail it can get a bit more complicated. We're talking about adverbs: words which "describe" a verb, or which give more information as how quickly, effectively, badly etc., you're doing whatever it is you're doing! We'll look at the Italian equivalent of adding "-ly" to an adjective, but we'll also consider other types of adverbs, and we'll look at those tricky adverbs like molto. Are you 100% sure when to use molto and when to use molti/molte/molta? By the end of this lesson you'll be confident with all kinds of Italian adverbs! In this episode of Coffee Break Italian we're looking at two constructions which will help you increase your range of expression easily and effectively. You'll learn to use prima di + infinitive and dopo + past infinitive with both avere and essere verbs. Once you've mastered these expressions you'll be able to talk about "before doing something" and "after doing something", and understand the nuances of each of these expressions in their Italian translations. CBI 2.27 | Fra 10 minuti dobbiamo essere da tuo zio! We're back with the second instalment of our two-part preposition marathon. In this episode you'll learn all you need to know about the prepositions di, da, con, per and tra/fra. Once again, there are some crucial nuances with certain prepositions which can completely change the meaning, so listen carefully in this lesson! As usual, Francesca and Mark provide plenty of examples to help, and Isla puts what she learns to the test with a translation challenge. By the time you've completed this lesson you'll be a preposition pro! CBI 2.26 | Preferisci andare in palestra o a teatro? This is the first of our two-part preposition marathon! In this episode you'll learn all you need to know about the prepositions a, in and su. Using prepositions in Italian can be quite tricky, particularly because they don't work the same way as in English. There's also the fact that, when combined with the definite articles, the prepositions take on different forms. Through this lesson about (su) prepositions, you'll learn to (a) use the prepositions in (in) the correct way! CBI 2.25 | Chi è quella persona che lavora in biblioteca? In this episode you'll learn everything you need to know about asking questions in Italian. We'll cover come, dove, quando, chi, perché, quale, quali, quanto/a/e/i and, of course, che, che cosa and cosa! By the time you've completed this lesson you'll be able to satisfy your curiosity in Italian by asking any question. Coffee Break Italian is the show which helps you learn Italian. Mark and Francesca are the teachers who teach Isla in Season 2. This is the episode in which we're looking at relative pronouns, and through which you'll master this new grammar point! See what we did there? All will become clear in lesson 24! In this lesson we're focusing on combining the Perfect and the Imperfect which together allow us to tell stories in the past. You'll consolidate what you already know about each of the tenses and you'll recognise certain words and expressions which trigger the Perfect or the Imperfect. Francesca also has some mystery Italian personalities for us to identify in the Caffè Culturale. We've now learned both the Perfect Tense and the Imperfect Tense in Italian, but when do you use which tense? ​In this episode of Coffee Break Italian we'll be talking about "thtooms" and "dum-de-dum-de-dums". This is Mark's method of explaining how you can combine the Perfect Tense and the Imperfect Tense in one sentence to talk about what was happening when something else happened. You'll also learn an alternative translation of the Imperfect which involves beaches at sunset! In this lesson we're focusing on a new tense, the imperfect, which is used for descriptions and to talk about repeated actions in the past. It's a very straightforward tense, and Francesca shares some great news about the Imperfect in this episode! As usual, there are lots of examples and Mark and Francesca will test Isla on her understanding by the end of the lesson. In this lesson you'll learn to use four very useful adverbs: mai (ever), già (already), appena (just) and ancora (still/yet) to talk about what you've just done, what you've already done, what you've never done and what you've not yet done. This very useful lesson builds on what you've learned in previous episodes, and it marks the half-way point of our course. This season of Coffee Break Italian features a total of 40 episodes, published every two weeks. Lessons 21-40 will be published during 2018. Stay subscribed to the podcast to enjoy each episode. If you'd like to benefit from lesson notes, bonus audio recordings and video versions of the lessons featuring 'synchronised video flashcards' to help you understand how the words and phrases are written, you can access the premium version of Coffee Break Italian on the Coffee Break Academy. In this episode we're looking at how you say you liked something in the past using the verb piacere. This verb is conjugated with essere and you have to be careful with how you agree the past participle. We'll also be taking a look at how reflexive verbs work in the Perfect Tense in this lesson. Again, pay close attention to the past participles! So far we've been learning how to talk in the past by using the Perfect Tense with avere. In this lesson we'll be learning about a specific group of verbs which use essere in the Perfect Tense. There's something in particular we need to remember about these verbs, and all will become clear once you've listened to this lesson. In this episode of Coffee Break Italian, we're continuing to learn about the Perfect Tense, this time focusing on verbs which have irregular past participles. You'll learn to form past participles for irregular verbs and you'll also learn about the groupings of irregular verbs which form their past participles in similar ways. CBI 2.16 | Abbiamo imparato molto! It's time to think about the past. We've already seen examples of the Perfect Tense, one of the main Italian tenses used to talk about what happened in the past, but so far we've not learned exactly how to use it. In this lesson you'll be learning to form the past participle of -are, -ere and -ire verbs and how you combine these with the verb "avere" to form the Perfect Tense. In this lesson we're continuing our study of "ne" and introducing a new pronoun, "ci". Both of these words are small, but exceptionally useful, and you'll learn how to use them in many situations. In this lesson we'll be looking at the partitive article - the technical name for how to translate "some" in Italian. We're using the context of buying food so you'll learn how to ask for some cheese, "del formaggio", some cream, "della panna", and lots more. This topic also enables us to look at the word "ne", and we'll see how easy it is to use this tiny, but powerful, word. In this lesson you'll learn to use the demonstrative adjectives questo and quello, meaning "this" and "that". You'll also learn to use the demonstrative pronoun forms, meaning "this one" and "that one". There are a few things you need to remember, particularly with quello, because the forms change slightly depending on whether you're using the adjective or pronoun forms. You'll build on what you know already with this lesson, and there's further practise with the help of translations and a dialogue. CBI 2.12 | Che belle scarpe e che bell&apos;orologio! Paying compliments is a key part of Italian culture and society, and in this lesson of Coffee Break Italian you'll learn to compliment native speakers on their beautiful clothes, their delicious ragù, and their delightful children using the tricky adjectives bello and buono. You'll discover a trick which will help you to know exactly which form of these adjectives to choose for any noun, and Francesca explains the very Italian concept of la bella figura in the Caffè Culturale. CBI 2.11 | I pantaloni blu sono molto eleganti! In this episode of Coffee Break Italian you'll be learning about Italian adjectives and how they agree in gender and number with the noun they describe. You'll learn about Four-Ending, Two-Ending and Invariable adjectives, and how to change the adjectives so that they "agree" with the noun. Join Mark as he goes clothes shopping in Milano (!) and build your vocabulary in the process. CBI 2.10 | Esci stasera? Vengo anch&apos;io! In this lesson you'll learn to conjugate and use three very common -ire verbs which are irregular: venire (to come), uscire (to go out) and dire (to say/tell). Pay particular attention to the spelling changes which happen in these verbs! CBI 2.09 | Sai che vado a Londra domani? In this lesson we'll be taking a look at four common irregular verbs which end in -ere: bere (to drink), tenere (to hold/keep), sapere (to know) and conoscere (also to know). You'll also learn the difference between the two verbs which can be translated as "to know" and when to use them. CBI 2.08 | Hai bisogno di aiuto? In this episode you'll learn to use avere and essere, two of the most important Italian verbs. In addition to the normal uses you'll also learn to use the verbs in a number of idiomatic expressions. By the end of this lesson you'll be a master of "being" and "having" in Italian! CBI 2.07 | Faccio colazione, e poi vado in spiaggia perché fa bello! This lesson focuses on two very important irregular verbs, andare ("to go") and fare which means "to do" or "to make", but is used in many other expressions. You'll learn to conjugate these verbs and through a series of dialogues between Mark, Francesca and Isla, you'll practise using the verbs, helping you to consolidate what you've learned. In this lesson you'll consolidate what you already know about regular -are, -ere and -ire verbs and you'll also review reflexive verbs. One of the most common uses of the present tense is in making arrangements, and in the dialogues of the lesson you'll learn to make arrangements, identifying what you're doing, when you're doing it and where you're meeting your Italian-speaking friends. In this lesson you'll master verbs in the 3rd conjugation - those ending in -ire. There are two groups of these verbs: ones which form their endings as you would expect, and another group which introduce -isc- in the middle of certain forms. You'll already be familiar with verbs such as capisco, but this lesson will explain how to conjugate all of these verbs. In this lesson you'll master regular verbs in the second conjugation, those ending in -ere. You'll have met a few of these verbs before, but this episode gives you the chance to practise these verbs further and understand when to use them. Also covered are some verbs which involve spelling or pronunciation changes. This episode of Coffee Break Italian will help you talk about the things you do on a regular basis, including aspects of your daily routine. Francesca and Mark introduce the concept of reflexive verbs and you'll learn to conjugate these verbs in the present tense. In the practice session Isla is put to the test and asked about her daily routine. CBI 2.02 | Che cosa fai al fine settimana? Talking about the weekend. In lesson 2 of Coffee Break Italian Season 2 you'll further your knowledge of -are verbs within the context of talking about what you do at the weekend. Francesca and Mark introduce more -are verbs including some verbs which have spelling changes, and then talk about what they do at the weekend - in Italian, of course! Isla practises what she has learned by talking about her weekend in Italian, and there are some translation challenges to help you consolidate the new language in the lesson. In lesson 1 of Coffee Break Italian Season 2 you'll take the first steps in learning to manipulate the language and say what you want to say! Lesson 1 focuses on regular -are verbs, and you'll learn to conjugate these verbs in the present tense. Join teacher Mark, native speaker Francesca and learner Isla in this first episode of our new series. Siamo tornati! We're back with a new season of Coffee Break Italian and in this short preview episode Mark and Francesca will be telling you what you can expect to learn in Season 2 which launches 6th February 2017. Having arrived in Italy and found her way to the town of Orta, Katie checks into the hotel and in this episode we listen in on the conversation she has with the receptionist. There’s a little problem, but this is quickly solved with the use of some of the language previously learned in our course. This episode also features a chat between Mark, Katie and Francesca about how things are going at the end of the first day of our trip: an excellent opportunity to review some further expressions. We’re back with another episode of Coffee Break Italian, and it’s time to put Katie’s Italian to the test. Mark and Katie have travelled to Italy to meet up with Francesca and together they’ve recorded a series of conversations. In lesson 31 you’ll join the team as they arrive in Italy and prepare for the coming visit, learning a few new phrases along the way. Hopefully this won’t happen to you while you’re travelling in Italy, but sometimes we have to visit the doctor or a pharmacy and explain our aches and pains. In this episode you’ll learn the words for different parts of the body and how to say that something is sore or that you have headache, stomachache, backache, etc. You’ll also learn how to use the verb avere, meaning “to have”. In this latest episode of Coffee Break Italian we’re heading to the “negozio” – the shop – to learn how to go shopping in Italian. You’ll develop a range of new structures which will help you increase your confidence and mastery of Italian, and you’ll learn how to use Italian in a variety of situations where you need to buy things while in Italy. One thing which is vital when you’re learning a language is being able to count and deal with numbers in many situations including paying for things and dealing with dates and appointments. In this episode you’ll learn to count in Italian and you’ll learn the words for the days of the week and the months of the year. In this episode you’ll take what you’ve learned so far about ordering food a step further. You’ll learn to deal with dietary requirements and other situations encountered in a restaurant. You’ll also learn about the infinitive of Italian verbs and how you can use this to express a variety of concepts such as talking about what you like to do – or indeed to eat! In this lesson of Coffee Break Italian you’ll learn how to talk about food in Italian. You’ll also learn more about how to use the indefinite article (the word for “a”) and the definite article (the word for “the”) in Italian. Salve a tutti! It’s time to put into practice what you’ve learned so far in Coffee Break Italian – and you can win a fantastic prize by doing so! What we’d like you to do is leave us a voicemail in Italian. Please note that this competition runs from April 10th – 24th 2015. Please note that the competition is now closed. We’ll be announcing the winner on Monday 27th. you could also tell us about which languages you speak. what you like most about learning Italian with Coffee Break Italian. This competition is aimed at beginners who have started learning with Coffee Break Italian, so we’d prefer you to stick to what you’ve learned on Coffee Break Italian. Leave your voicemail by clicking on the “Start recording” button below and use your computer or webcam microphone to record your message. If you don’t like what you do, you can simply record it again. Only send us your voicemail when you’re happy with it! We’re giving away a brand new Amazon Kindle Voyage Wifi edition, and we’re throwing in the forthcoming first two books of Coffee Break Italian notes, covering lessons 1-5 and 6-10. 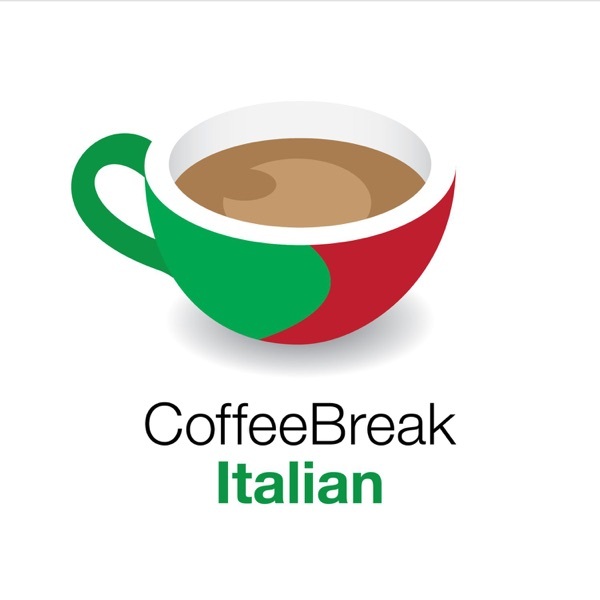 Listen to the special edition of Coffee Break Italian to find out more and to hear a sample voicemail from Coffee Break Italian learner Katie. This competition is organised by Radio Lingua Ltd.
Employees of Radio Lingua Ltd or their family members or anyone else connected in any way with the competition shall not be permitted to enter the competition. Details on how to enter the competition are listed on this page. The closing date for entry will be Friday 24th April 2015 at 23:59 UK time. After this date no further entries to the competition will be permitted. The prize for this competition will be one Amazon Kindle Voyage Wifi only. In addition, the winner will receive access to the lesson notes of Coffee Break Italian in Kindle format for lessons 1-10. Radio Lingua Ltd reserves the right to cancel or amend the competition and these terms and conditions without notice in the event of a catastrophe, war, civil or military disturbance, act of God or any actual or anticipated breach of any applicable law or regulation or any other event outside Radio Lingua Ltd’s control. Any changes to the competition will be notified on the Radio Lingua site as soon as possible. Radio Lingua Ltd is not responsible for inaccurate prize details supplied to any entrant by and third party connected with this competition. Join native speaker Francesca, learner Katie and teacher Mark in this latest lesson of our series for beginners in Italian. It’s time to test your understanding of everything we’ve learned so far in the series in this review episode. Join native speaker Francesca, learner Katie and teacher Mark in this latest lesson of our series for beginners in Italian. In this lesson we’re learning more useful language for getting around in the town and we’ll also be looking at some simple aspects of Italian grammar. Join native speaker Francesca, learner Katie and teacher Mark in this latest lesson of our series for beginners in Italian. In this lesson you’ll learn to ask for directions in the town and understand some simple answers. Join native speaker Francesca, learner Katie and teacher Mark in this latest lesson of our series for beginners in Italian. In this lesson you’ll learn to talk more about your family, and you’ll learn the numbers from zero to ten, allowing you to talk about phone numbers in Italian. Join teacher Mark, learner Katie and native speaker Francesca in the latest lesson of our series for beginners in Italian. In this lesson you’ll learn to introduce members of your family and give their names. Take your first steps in learning Italian with teacher Mark, learner Katie and native speaker Francesca. In this lesson you’ll learn to say where you live in Italian. You’ll also learn some appropriate answers for this question, and discover more about Italian culture. If you can learn how to pronounce spaghetti, tagliatelle and bruschetta properly in Italian, you’ll have no bother with the 40 episodes of our first season of Coffee Break Italian. Join Mark, Francesca and Katie in this introductory episode. Lessons 31-40: we’ll be recording these episodes in Italy and you’ll join us in a series of conversations putting all the language you’ve covered so far into practice and extending your vocabulary and understanding of Italian grammar. Coffee Break Italian launches with lesson 1 on Monday 26th January. Join teacher Mark, learner Katie and native speaker Francesca in this preview episode of Coffee Break Italian.